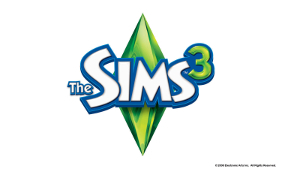 I know, I know -- Sims 4 is not only out already, it's been on the market for at least a year or two now -- but I'm still getting everything I want for Sims 3. I already own most of the expansions and now, thanks to my latest purchase (most of Sims 3i son sale from Steam through July 4th), I have almost every set, as well. I'm not going to stop playing a game I own almost everything for just because a newer version came out. In fact, my mom found my old Sims (original) CDs and laid them on the kitchen table the other day. The image on the back was a promotion for Sims 2. So... I have still played The Sims from time to time on older computers, and I still love it. Sims 4 was on sale last week, but it's only available on Origins' platform. I'll wait until it's available on Steam only because I got burned and had to buy Sims 3: Seasons twice (once for each gaming launcher). Anyway, almost all of Sims 3 is available from Steam at really low prices right now, if you're interested. I bought Town Life Stuff, Master Suite Stuff, and Outdoor Living Stuff for less than $15.00!